If you are living in California, you have probably already heard by now that the state is in a severe drought of unprecedented levels. 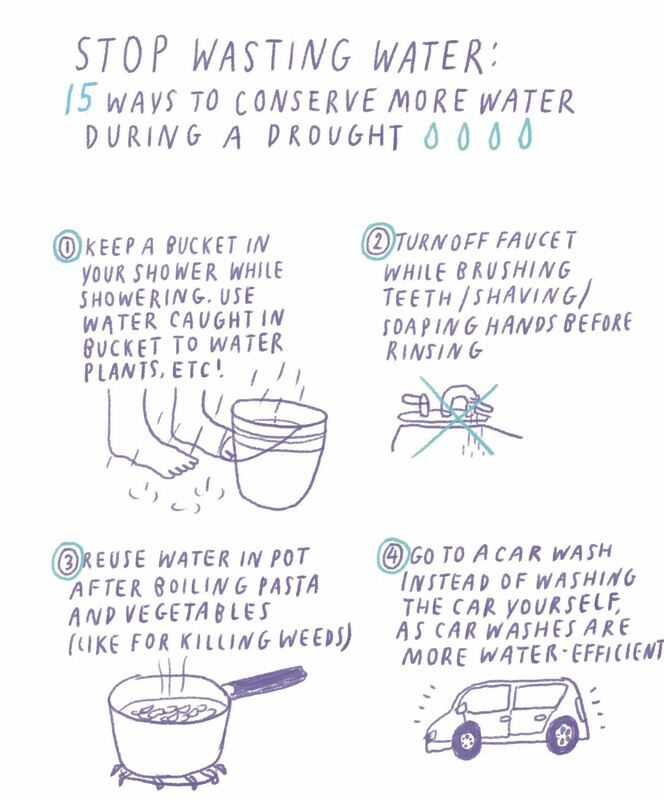 Even if you don't live in a drought-affected area, it is extremely vital for everybody on this planet to conserve water as much as possible. 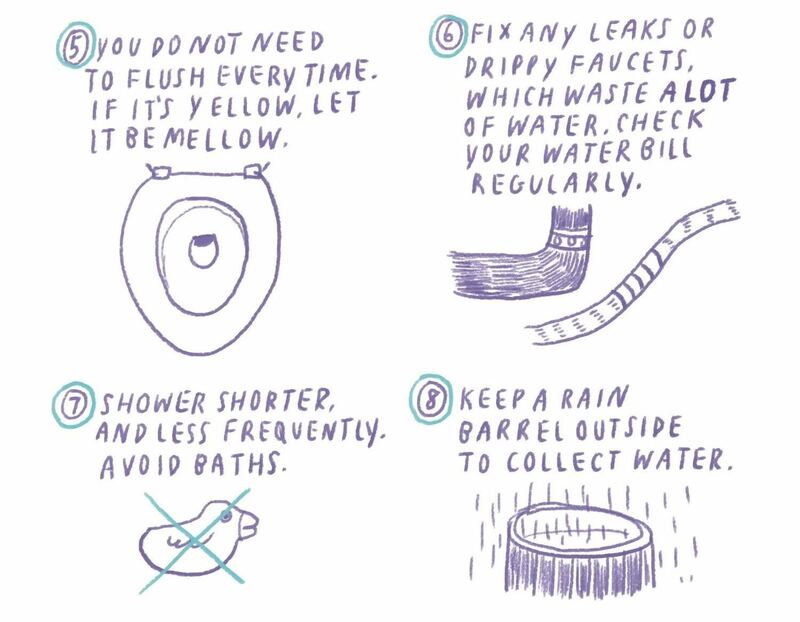 Fortunately, there are a number of simple changes you can make to your day-to-day habits that can save a huge amount of water if done on a collective level. Like taking shorter showers less frequently, or turning off the running faucet while you are brushing your teeth, shaving, or soaping your hands before rinsing. 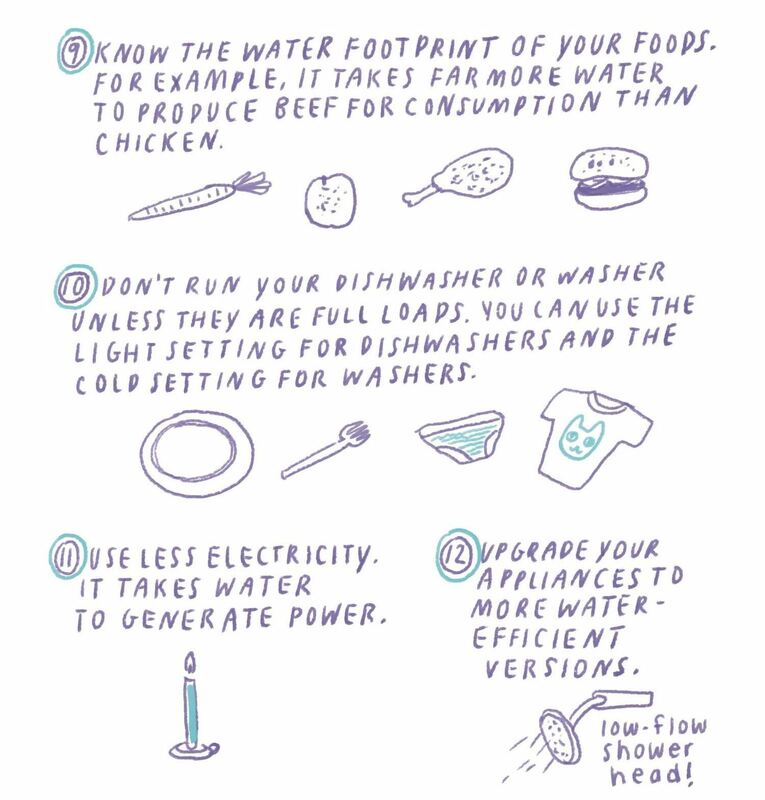 In the kitchen, you can reuse the water you used for boiling pasta and buy foods with low water footprints. 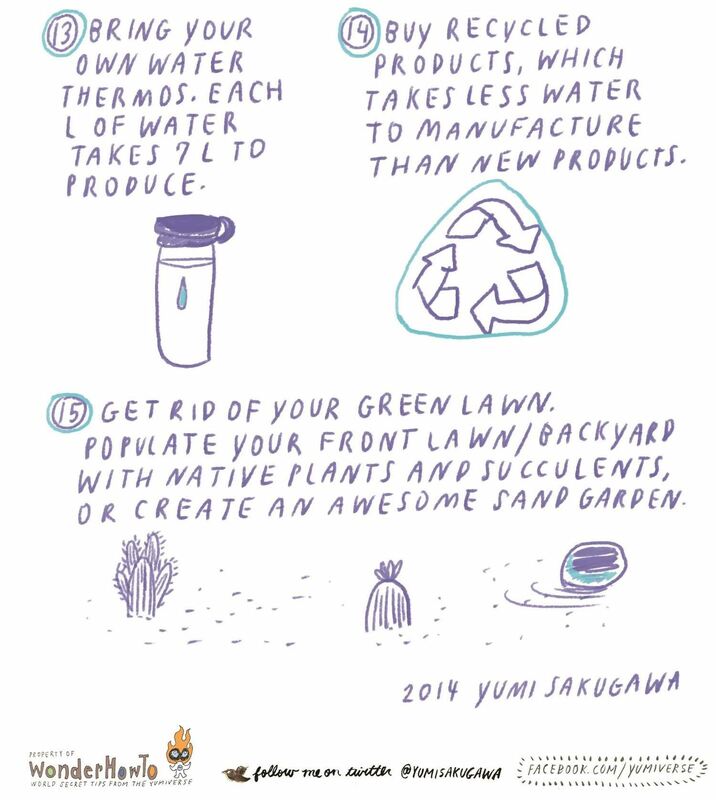 If you are a homeowner, you can upgrade to more water-efficient appliances (such as low-flow showers and water-efficient washers) and avoid having a green manicured lawn altogether. I have another one: instead of washing my hands after I go to the bathroom, I go and do a couple of dishes without wearing household gloves. The soap takes care of any germs, and I get two-for-one usage out of my water. If we had to consider #8, we would not be in a severe drought. I live in the Central Valley of CA and we get no rain from May through Sept. If we don't get rain or snow in the winter, we're finished.